Dr. Bradley Prestidge, MD, MS, serves as Regional Medical Director of Radiation Oncology for Bon Secours Medical Group in Norfolk, Va. During the American Brachytherapy Society 2018 Annual Meeting, Dr. Prestidge shared with us his opinion on brachytherapy’s top benefits for prostate cancer patients and why Cesium-131 is his exclusive isotope of choice for low dose rate brachytherapy. For Dr. Prestidge, it comes down to the biological effectiveness dose of delivering radiation internally versus external beam delivery, the convenience of one procedure versus 45 EBRT visits (typical for prostate cancer treatment) and rapid resolution of side effects. 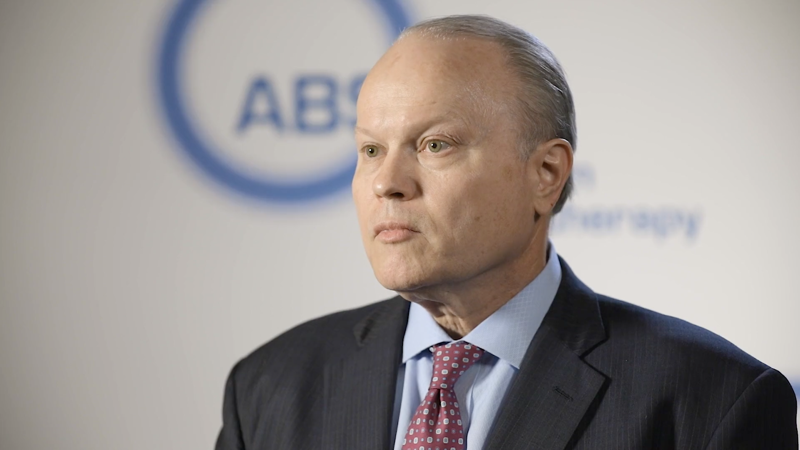 Watch our quick-hitting interview with Dr. Prestidge from ABS 2018. Among his many distinctions including 12 years of service as an active duty U.S. Air Force physician and consultant to the Surgeon General, Dr. Prestidge served the recent President and Chairman of the American Brachytherapy Society and is a member of both the American College of Radiation Oncology and American Society of Clinical Oncology. Are you ready to put Cesium-131s similar energy and shorter half-life compared to Iodine-125, along with more rapid resolution of side effects, to work for your prostate cancer patients? Contact customerservice@isoray.com to arrange a call or meeting. You can also follow Isoray on LinkedIn, Twitter and Facebook.